Breaking free of addiction can be incredibly hard and you may not believe that the conditions are right in your life to commit to this type of change. You may be waiting for a better time when giving up would be easier, but the danger is that by delaying you could be putting yourself in grave danger. The reality is that the best time for you to stop abusing alcohol or drugs is right now as there is no guarantee that there would ever be a better time. Below are just 10 reasons why it is risky for you to wait for the ‘right time’. The idea of hitting rock bottom is sometimes misunderstood to mean a special time when quitting the addiction becomes easy. The reality is that all rock bottom refers to is the point at which you become ready to change. If you decided right now that you have had enough of addiction, this would be your rock bottom. It has nothing to do with how much you have suffered or how much you have lost. You do not progress towards a rock bottom by just waiting passively; doing this means there is a high risk that you will die before being ready for recovery. Hitting rock bottom is often described as similar to being in a lift that is always descending and things get worse with each passing floor. It is up to you to decide where to get off this lift, and this is the point of your rock bottom. Those caught up in addiction experience a downward spiral. It may not always be obvious, and there may still be good days, but life as an addict gets progressively worse over time. This means that the longer you continue to abuse alcohol or drugs, the more you will suffer. There is no need for you to experience this pain because there will be a solution that will help you break free of addiction today. It is unlikely that you are the only one who is suffering because of the addiction. Those who care about you will be impacted by this behaviour as well. It can be very hard to understand why individuals trapped in addiction behave the way they do, and it can be horrible to watch somebody fall apart like this. It is not your fault that you fell into addiction and nobody chooses this to happen to them, but it will be your responsibility to change because nobody else can do it for you. It is almost certain that your loved ones have suffered enough and, if you are responsible for young kids, you cannot allow your addiction to continue negatively affecting their life as well. As you fall deeper into addiction, it is likely to reduce your self-efficacy as well as your self-esteem. If you have low self-esteem then you may decide that the suffering of substance abuse is the best you can hope for in life; it can mean that you no longer feel deserving of anything better. Self-efficacy refers to your belief in the ability to change. If you are trying to control your drinking or drug use but keep on failing, it will reduce your self-efficacy. This means that you become convinced you cannot change, which creates a self-fulfilling prophecy – the act of predicting you would fail in recovery causes this to happen. 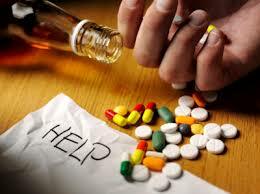 If you keep on abusing alcohol or drugs, you may reach a stage where a full recovery will no longer be an option. This would happen if you develop cirrhosis of the liver to such an extent that you would not have long to live. It could also happen that if you deteriorate mentally to a certain extent then there can be no comeback (for example, alcoholic dementia). When people are trapped in addiction, it can feel to them that they have all the time in the world to fix the problem; in reality they are in dire jeopardy and need to stop the behaviour as soon as possible. You could die today from substance abuse, so continuing the behaviour is a gamble. The benefit of getting sober is that it could mean you being to enjoy a much better way of living. By delaying this day, you are delaying your happiness. It makes no sense. As long as you continue to drink or abuse drugs, it would not be possible for you to make much progress in life. It is much better that you stop right now so that you can begin creating the life you really deserve. If you are suffering from any type of mental health problem, it can be very difficult to provide effective treatments for this until the addiction is dealt with. This is because it will interfere with the effectiveness of pharmacological interventions as well as getting in the way of therapy. If you want to overcome your mental health problem, you will usually need some type of dual diagnosis treatment whereby your addiction is dealt with at the same time as the mental health problem. Drinking and drug abuse can damage your reputation, harm your career, and lose you the respect of others. When you become sober, you will need to deal with the wreckage caused by your past behaviour – this is one of the major challenges in early recovery. The longer you continue with the abuse, the more wreckage there will be. This means that your journey to a successful life in sobriety would be harder as a result. It makes more sense for you to deal with the wreckage in your life as it is now, instead of waiting for things to get worse. Life in incredibly short and, while you are caught up in addiction, you are not really living. It is akin to being a zombie because you are under the control of cravings and your life revolves around alcohol or drugs. Can you really afford to waste one more day to addiction? People do amazing things after they give up substance abuse, and you can too. This is your opportunity to begin living your childhood dreams. There are so many more opportunities for you once you are sober, but you will need time to achieve results. This means that the sooner you get going, the more you are going to be able to achieve.